August marks the most important month in Vancouver Whitecap history. The Caps are scheduled to play an incredible 8 matches in August. This busy month will push Carl Robinson’s young squad to the edge of glory or severe disappointment. After a dominant victory over the visiting San Jose Earthquakes, the Canadian club begins August by traveling to Washington for a crucial Cascadia Cup match versus the Sounders. With vital points on the line, the Whitecaps will be forced to manage without Mauro Rosales. The Argentine playmaker suffered a groin injury during the San Jose match and he could miss up to 2 weeks. This injury comes at an inopportune time, especially with captain Pedro Morales just returning from his own injury. MLS regular season? Voyageurs Cup? CONCACAF Champions League? Which competition is the most important to the club and fans? You will get a different answer for each supporter or journalist you ask. With the added intrigue of facing the Sounders in CCL, including Honduran side CD Olimpia, fans are ramped up for their club’s first appearance in the regional competition. The ‘Caps kick things off by hosting the Sounders on August 5th, just days after they visit Seattle in the MLS regular season. With Clint Dempsey and Obafemi Martins set to make their return from injuries, the league’s best striker duo will provided a much needed boost to the beleaguered Washington team. Whether they can remain healthy remains to be seen. However, their return will only add to the difficult month for Vancouver. Squad rotation will be critical when Robbo’s men face off against a new and improved Montreal Impact squad which, earlier this week, signed Didier Drogba to a reported 18 month contract. While Drogba is in his twilight years, his skill in the 18 yard box is a marvel to behold. At the time of writing this, it is unclear whether Drogba will be approved to play in the Voyageurs Cup final versus Vancouver. Initially the Canadian Soccer Association was fast to state his ineligibility, but they swiftly changed their tone. Regardless of Drogba’s presence, Vancouver faces a stiff challenge in the Impact. The Eastern club hosted and defeated Vancouver earlier this season and there is of course, Vancouver’s infamous inability to show up when needed for big games. This sad fact has seen them named runners up in the Voyageurs Cup final 5 times since 2009. I suspect more heartbreak is in store for Vancouver. By August 12th, legs will be tired, injuries will be lurking in the shadows and the pressure will be mounting on a young squad as they travel to Montreal. 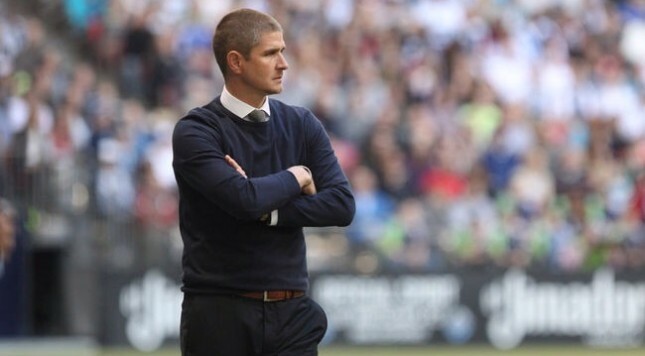 Carl Robinson has a deep roster on paper, but this depth has failed to impress. Especially when the club barely defeated NASL side, FC Edmonton, back in May. Amid the Voyageur Cup matches against Montreal and CCL match versus the Sounders, are 5 regular season MLS matches versus Real Salt Lake, FC Dallas, Houston and Sporting KC. All of these teams will push a fledgling Vancouver team. The Whitecaps will be hard pressed to maintain their position in the top 2 teams of the Western Conference. Luckily they will receive a much needed boost soon when fullback, Sam Adekugbe returns from injury. Adekugbe replaced MLS veteran Jordan Harvey at the beginning of the season and played 7 matches before an ankle injury sidelined him. The young Canadian is expected to work on his fitness in the USL for the next week or so but I expect he will quickly return to the senior side to help with the jam-packed schedule. Adekugbe, along with other youngsters such as Kianz Froese, Christian Dean and Tim Parker will all be called upon to perform. So far, they have all shown glimpses of their talent, and if the Whitecaps are to reflect upon the month of August in a positive fashion, then each of the youngsters must perform to the maximum of their ability. I’m tired just thinking about all these matches.